There is deeply toxic mercury (which can cause brain damage) in Margate’s soil and groundwater and it could take decades before it is removed, the Environment Agency (EA) has warned this autumn. Replying to a Freedom of Information request last month, the EA said that inorganic (mercuric-chloride), organic (methyl-mercury) and elemental (Hg+) mercury are all still polluting the area around a former chemicals factory. The mercury is getting into the groundwater, the government agency confirmed. 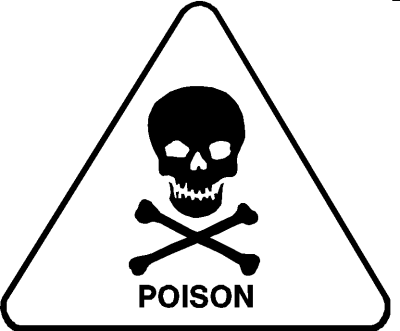 As are many other deeply poisonous chemicals. Contamination is present in the soils and made ground on the site. The unsaturated zone of the Chalk (which is the drier section of the Chalk aquifer between the ground surface and the groundwater table) is contaminated with mercury and a mixture of solvents used in the manufacture of mercury products and OIT. There are particular hot-spots under the former production area, the former chemical and effluent tanks and beneath drainage soakaways. Mercury poisoning can lead to neurological damage, severe renal bleeding and many more horrific symptoms; if acute, it can kill you. If chronic, it can cause lasting damage. It is, in short, the last thing you want anywhere near your groundwater. The mercury pollution at the former Thor Mercury factory is localised—thus far—but the EA warned that it will take decades to remove it, as wider pollution by other chemicals spreading into our groundwater from the same site has to take precedence. The company to blame, meanwhile, has declined to pursue a process (soil vapor extraction) that would get those other chemicals out much faster, the EA reported on September 25, 2014. That’s despite a successful test four years ago. A small amount of volatile contamination was removed from a single onsite remediation borehole during a trial of a soil vapour extraction remediation technique. The trial was for a two week period between July and August 2010. The report from the trial suggested that this would be an effective treatment of the unsaturated zone within the chalk rock beneath the site. The technique would complement the ongoing groundwater treatment remediation works. The company have not chosen to pursue this as a remediation option at present. Don’t Thor Chemicals have enough money to do this vital work? Not so. Whilst the company is now officially dissolved—in name at least—after settling out of court for severe mercury poisoning in South Africa, the company’s money was transferred to a holding company, Tato Holdings Limited (based in Canterbury) that has a net worth of £285 million, with £85 million in cash to hand. You get the picture. There is clearly a huge amount more still in the soil, with the potential of further risk to the groundwater, or it wouldn’t take “decades” to clean up. If elected to serve North Thanet, as a Green Party representative I would come down like a ton of bricks on companies not doing their utmost make sure our soil and our water are free from chemical poisons. Why aren’t TDC and KCC pushing for this site to be cleaned up as a matter of urgency? Those responsible for this pollution—who had moved operations to South Africa after receiving warnings about Margate—should be making it a priority to clean up this site. Mercury in the soil and entering the groundwater being left for decades more is simply unacceptable. Today I will be asking how regular those updates are, how much work has been done in the past year and how often the EA itself checks the site and the groundwater. I’ll also be writing to Thor, asking for a time line on the removal and what they are doing to ensure this is sped up. The full and comprehensive text of the response from the Environment Agency to a Mr Richard Card (no acquaintance)’s detailed questions is here. Now that is interesting because a few days ago I was asked to email the Environment Agency details of the Mercury I found on the Foreshore at the Palm Bay side of Foreness Bay in the early 1990’s..